Everyone has teeth. We use them on a regular basis, but we don’t really give our teeth much thought beyond regular brushing and flossing. Our teeth are efficient tools that are an important part of the body. Believe it or not, dentistry has been dated as far back as the Egyptians. Thankfully, dental tools and methods have come a long way. 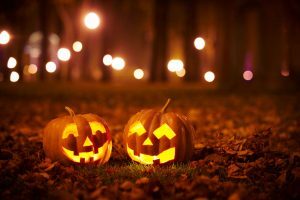 Your Westchester dentist has put together some spooky facts that you may not know about dental history. Did you know that not everyone has wisdom teeth? The most common result is that at least one wisdom tooth is present. They usually emerge between the ages of 17 and 21. They come in during a time when a person enters adulthood. This is where the name “wisdom teeth” comes from! People often get their wisdom teeth removed because there is not enough room in their jaw. Egyptian Pharaoh, King Tut, however, still had them when he died. His wisdom teeth helped scientists determine that he was around 19 years old at the time of death. And, some people even have multiple sets of wisdom teeth! That means extra wisdom, right? About 2,500 years ago the Mayans had an advanced civilization. They even had an advanced understanding of teeth. While many people today try to whiten their teeth, for the Mayans that was not enough. They would have their dentists use a drill to decorate their teeth. Sometimes parts of the tooth were cut our or shaped to make it look more interesting. However, their most extreme modification was the bejeweling of teeth. Following the Mayans example would be bad for so many reasons, instead have your teeth whitened at our Westchester cosmetic dentistry. An “old wives’ tale” is a superstition or traditional belief that is unscientific or false. One of those existed in Medieval Germany. They used to say that the only cure for a toothache was to kiss a donkey. What a strange superstition! Toothaches can be linked with a cavity, tooth decay, or gum disease. If you are experiencing a toothache give us a call. We can help to get that pain to go away. Please, don’t kiss a donkey. The world’s oldest recipe for toothpaste is from Egypt in 400 AD. The formula included mint, salt, grains of pepper and dried iris flowers. While modern toothpaste doesn’t contain grains of pepper and dried iris flowers, other substances like abrasives and surfactants help your teeth sparkle and stay healthy. Did you know the cotton candy making machine was co-invented by a dentist? Well it’s true and before it was called cotton candy, it went by the name of “fairy floss.” Nothing like a dentist helping to create something that can be so bad for your teeth. Sugar is definitely okay in moderation, especially this time of year. Have fun and eat your favorite treat. Just don’t forget to take care of your teeth along the way or you could regret it. These facts may or may not be spooky, but it’s amazing to see how far dentistry has come! To get excellent dental care and restorations, give us a call today! Our cosmetic dentists and dental implant surgeons will be happy to help.